This month we saw a great range of external shading installs varying from Roof Blinds on high level skylights, that open up the glass, instead of down, to our Award Winning Outdoor Living Pod with bespoke infills and offset posts to sail beyond the edge of a patio but what stood out the most was a particular project in Bromley that showcases the level of attention to detail we provide – ensuring the neatest fitting solution that appears as if it was part of the original design (not blinds just bolted on). Our task was to cover 4 glazed areas, two large sliding doors measuring 4 metres wide by 2.5 metres high and two fixed windows measuring 2 metres wide by 2.5 metres high. Our team of specialists designed & specified our streamline clean edged Antiguan External Roller Blinds, to be mounted within the reveals, sized the same width x height as the glazing frames and with the aluminium hardware in the same finish to ensure a seamless blend, appearing an extension of the window frames. 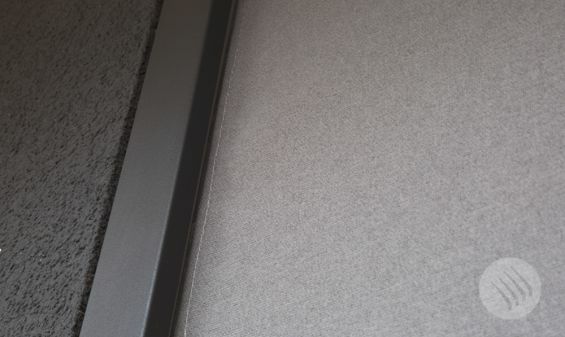 To contrast from the Anthracite Grey hardware whilst keeping a modern look, a graphite grey fabric from our premium Twilight Pearl solar control mesh fabric range was selected, which is completely free of PVC and contrasts perfectly with the hardware. To add further attention to detail we also obscured the power cables by feeding the wire through a discreet channel behind the side guide following it all the way down and under the decking, where it runs discreetly to an external feed. The client was so impressed with the level of care taken to deliver a fully functioning prestigious shading product, praising our team for their hard efforts and inviting us back to provide a solution for their first floor windows. 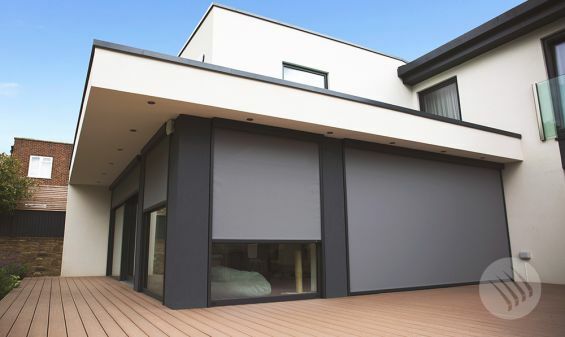 As the only company focussed solely on external shading, with a wealth of experience that spans over 30 years, no other company can provide the same level and attention to detail along with expert advice on the right shading system that delivers genuine lifestyle and energy saving benefits. 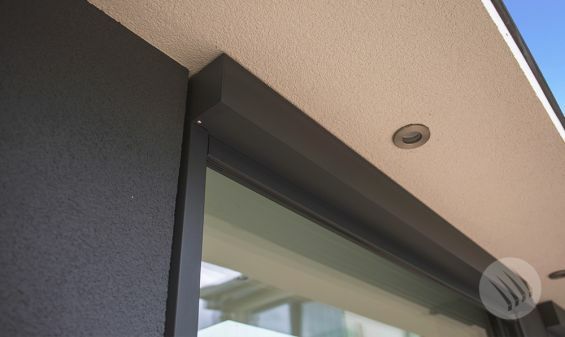 We understand better than any company what clients expect from their external shading system and ensure we deliver a seamless process that meets and exceeds our clients expectations. Why not visit our Outdoor Living Showsite & Shading Experience Centre, in Sudbury, Suffolk, the largest of it’s kind in the UK and discover external shading on a grand scale. Our experts are on hand to run and talk you through the options and features – call 0344 800 1947.